Whether you can cook up a storm or you can eat up a storm, nothing stops you from having a kitchen you’re proud of any day. Isn’t the kitchen really the heart of the home? Yes, for most of us at least it is. It’s where you get fuel for the day and perfect your culinary skills for that long-awaited dinner party. You know you’re ready for a kitchen revamp when kitchen catalogues become your bedtime reading. Or maybe, the idea of a trip to your favourite kitchen showroom sounds more attractive than a few extra lazy hours in bed. 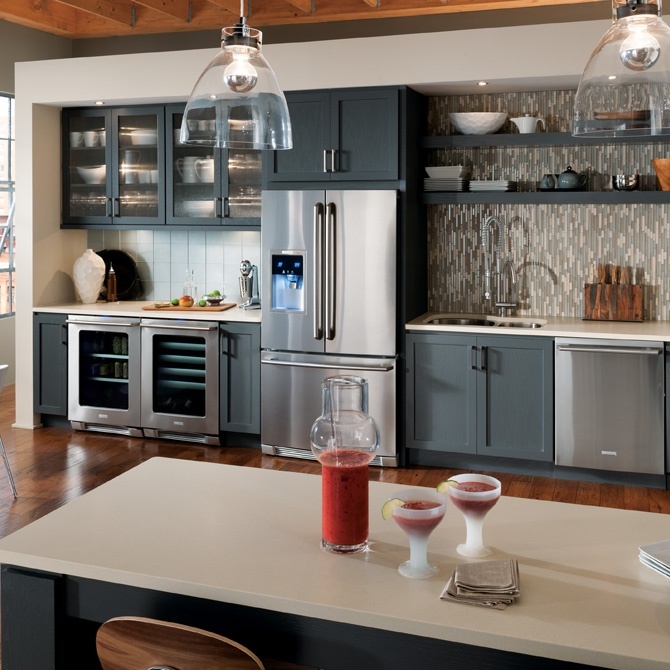 Look no further for inspiration to get you planning out your next kitchen design. We’ve sourced some great modern kitchen examples to get you salivating over. Sleek and understated, this kitchen’s all-white colour palette is anything but boring. All you need sometimes are a couple of bar stools and colourful pendant lamps. The statement lighting is perfect for the island. When you’re looking to infuse a je-ne-sais-quoi quality, a statement backsplash like the one in this modern kitchen will do. The cabinets have a stylish look and finish which is bound to appeal to both men and women alike. 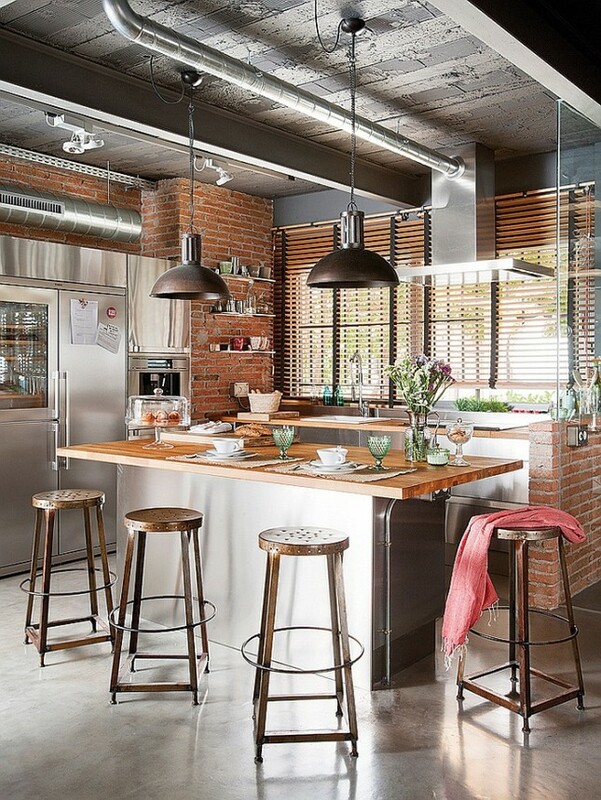 If exposed brick rocks your boat, then you’ll love this modern industrial style kitchen. Fully kitted with stainless steel appliances and surfaces set with a backdrop of a brick wall, we love its rustic appeal. The use of copper also warms up the look of the space. Perfect match. 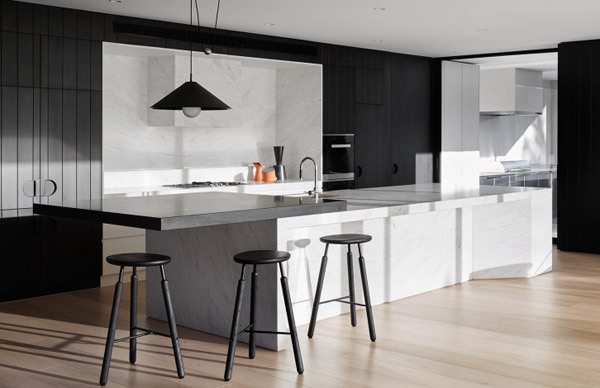 Black and white rule in this super minimalist kitchen. It’s a classy take on modern luxury. Perfect if you believe less is more. Obviously not one for the fainthearted but if you love a bit of colour, then why not go all out. 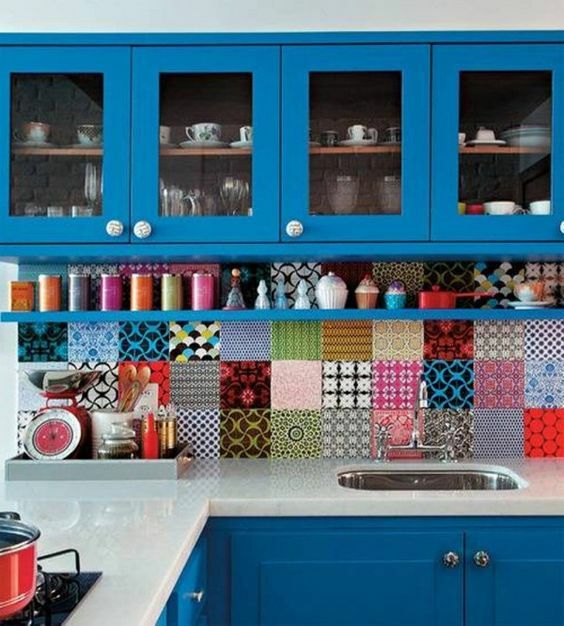 Colourful tiles make a whole lot of difference in this eclectic Brazilian kitchen. What’s not to love about the vibrancy? The combination is perfect. 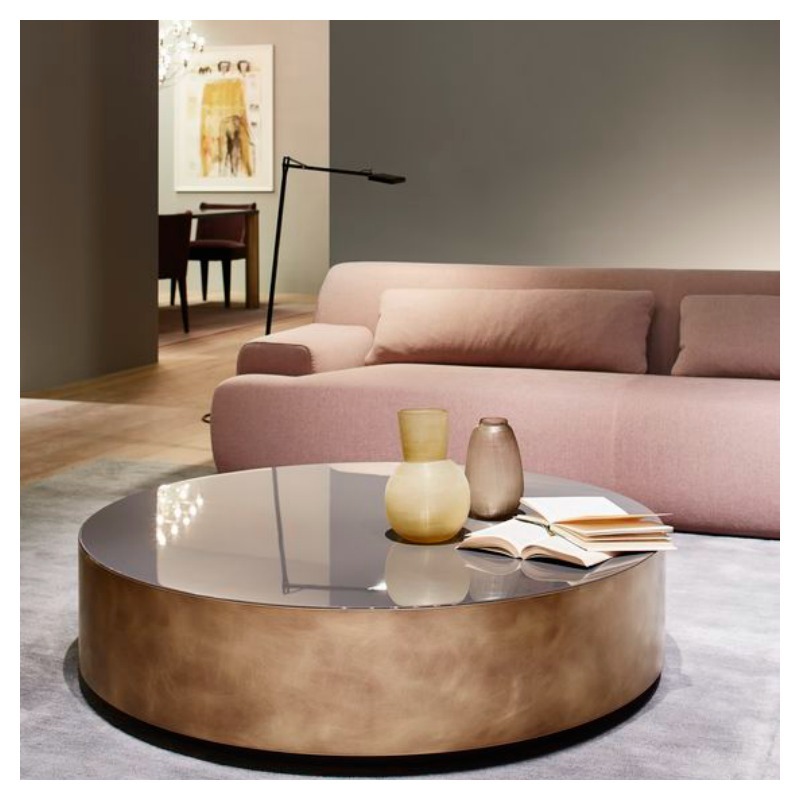 From 22 – 26 June 2016, a special design event will be taking place at Olympia in London. For four full days, guests of the Spirit of Summer fair will be invited to feast their eyes on product collections from over 450 independent designers and boutiques ranging from fashion, gifts, artisan food and drink. Organised in association with House and Garden, the House fair which is wholly dedicated to the home will be on too. 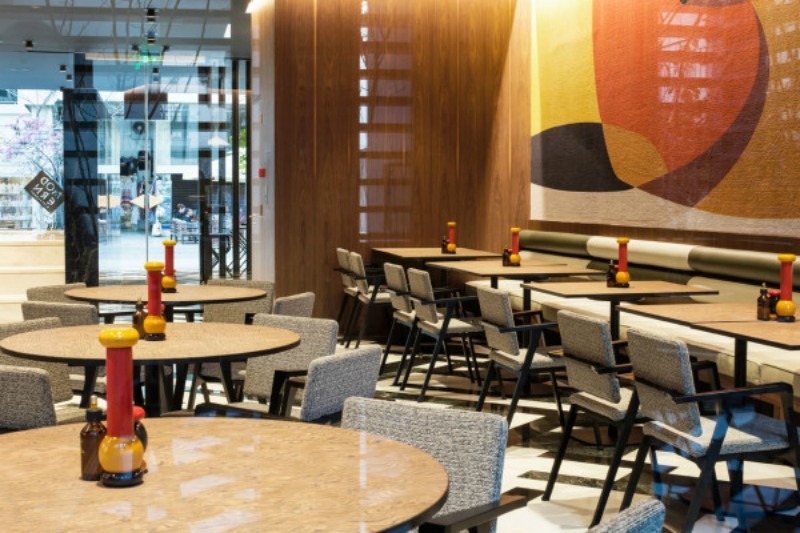 With over 100 prestigious interiors brands cutting across furniture, lighting, soft furnishings, wall coverings, you’ll have so much design choices on offer. If you could do with new ideas and inspiration for all the rooms in your home, then this is the event for you. 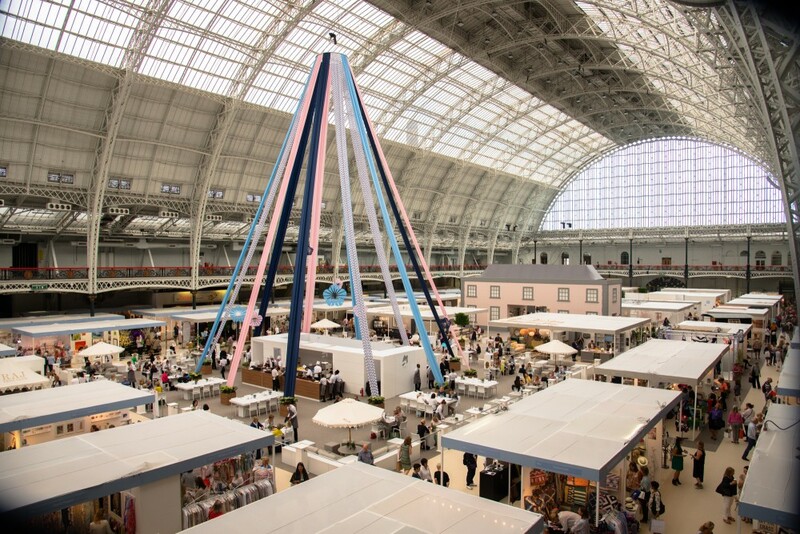 Quality British design will not only be in abundance but showing you how to enhance your interior space with beautiful products and furnishings is of utmost importance to the organisers. 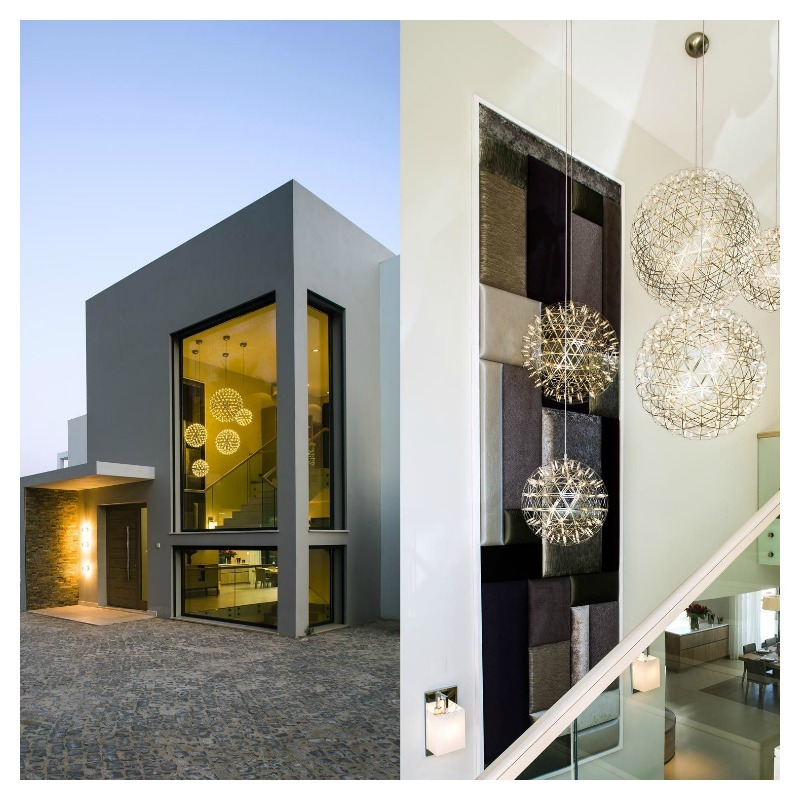 Event highlights will include ‘Decorated spaces’ by interior designs, Joanna Plant Interiors and Salvesen Graham. Another unique feature will be three styled rooms sets designed by three prolific interior bloggers. The bloggers involved include Martyn White, from Martyn White Designs, Grant from Interior Style Hunter and Gabriella Palumbo from Flat15. So whether you’re looking to revamp your home or redo a new client project and are looking for some inspiration, look no further. It comes round once a year, you don’t want to miss it. Enjoy the spirit of summer. 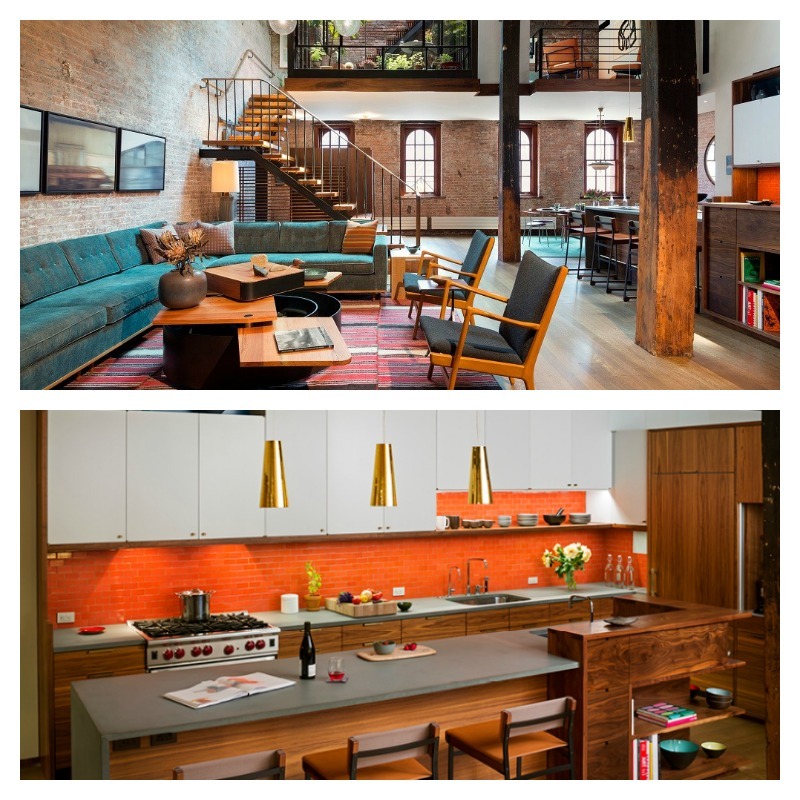 Warehouse conversions offer more than just another building, they have unique character and the abundance of space many of us crave. 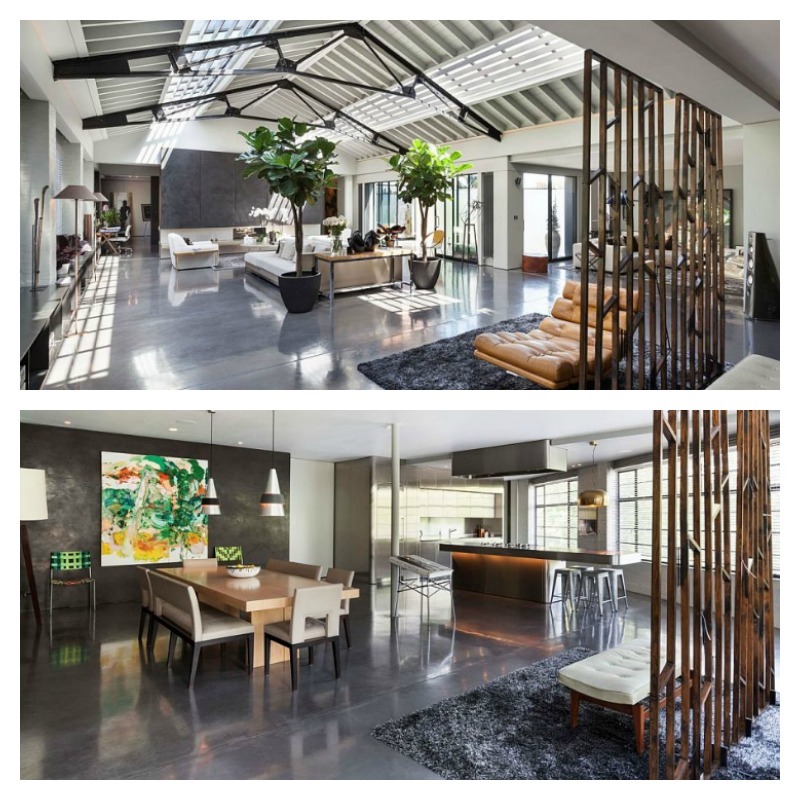 Think of a spacious open plan kitchen and living area oozing bouts of character and industrial appeal. Sometimes a regular detached house just won’t do. However they do come with their challenges too. Commercial properties have long been in demand for their potential to be transformed into new housing opportunities. In the UK, the areas popularly targeted are in established centres like London, Bristol and Southampton.These beautiful warehouse conversions caught our eye today. The exposed brick offers the perfect canvas for a great industrial look. The use of warm colours and natural materials eases in a relaxed scheme. This is the perfect style for the urban city dweller who appreciates the outdoors. This luxury penthouse in London combines industrial elements with Art Deco touches. The soft neutral palette keeps the space fresh complementing the industrial chic look. The large windows are great for allowing this bright and airy open plan layout to really come to life. Located in the Plaka district of Athens, this hotel pays an ode to ancient Greek design and classic modernism. 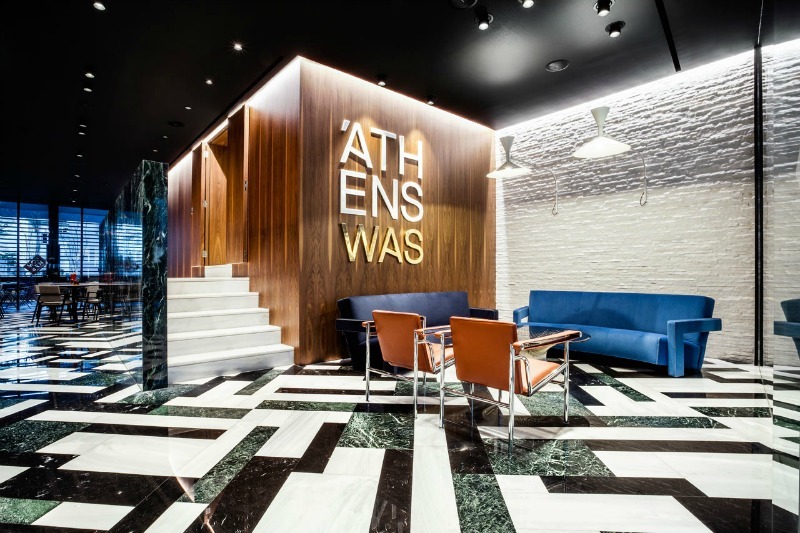 To continue our Destination inspiration series, we bring you AthensWas, a design-focused hotel bursting with style. Designed by Stavros Papayiannis of Stage Design Office, the mission was to create a fresh approach to Greek design. 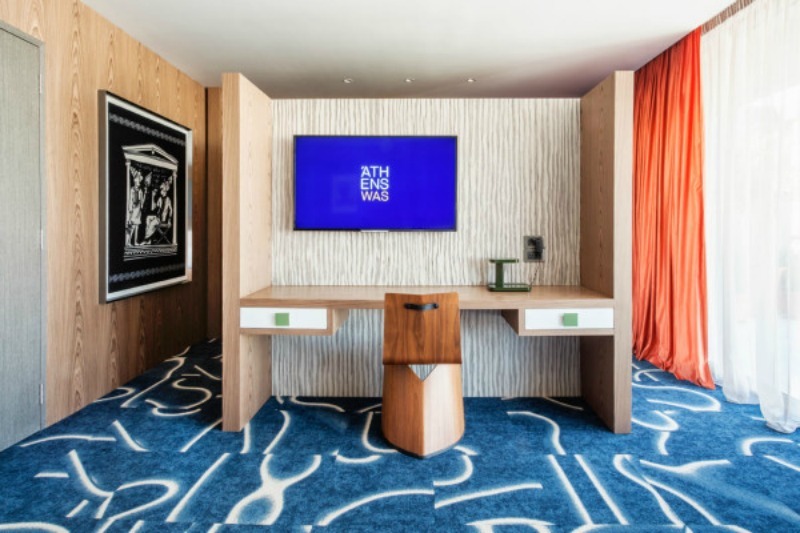 Fully decked out in Greek marble and Greek walnut, the hotel’s overall aesthetic is defined by clean lines and an abundance of natural materials. What’s not to like about its understated luxury with playful elements making it easy for stylish guests to enjoy? The space exudes a contemporary approach to classic modernism in a way that celebrates Greek history and architecture. Good things come in small packages. AthensWas hotel has just 21 guest rooms. Each room with its own outdoor space is filled to the brim with iconic furniture, light fittings and products from well-known designers. Even the artwork in the bedrooms immerse you into a world of culture and history. Some designs featured include the Canta and Viki armchairs by Toshiyuki Kita and lamps by French designers, Ronan and Erwan Bouroullec. 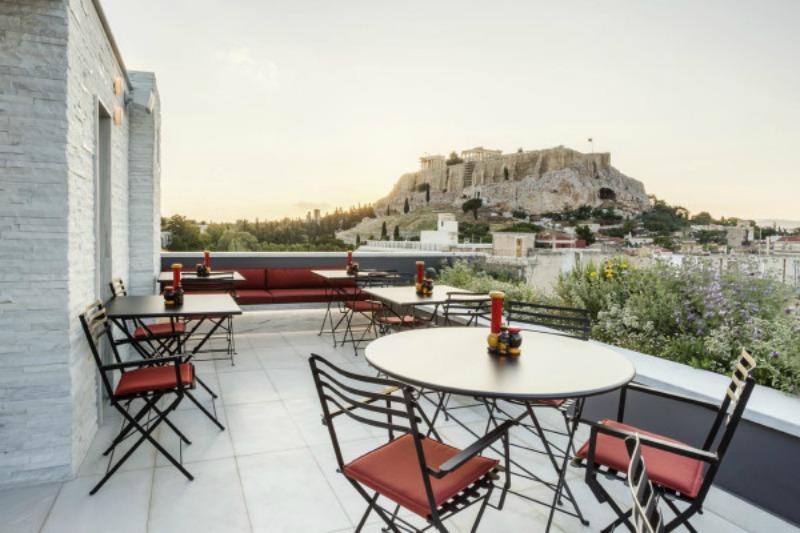 The in-house restaurant and rooftop bar located on the 6th floor of the hotel promise stunning views of the Acropolis, Parthenon, Temple of Olympian Zeus, and the old Olympic stadium. Who wouldn’t want to dine in style with such picturesque views? It’s always a great feeling when we find inspiring colourful interiors. 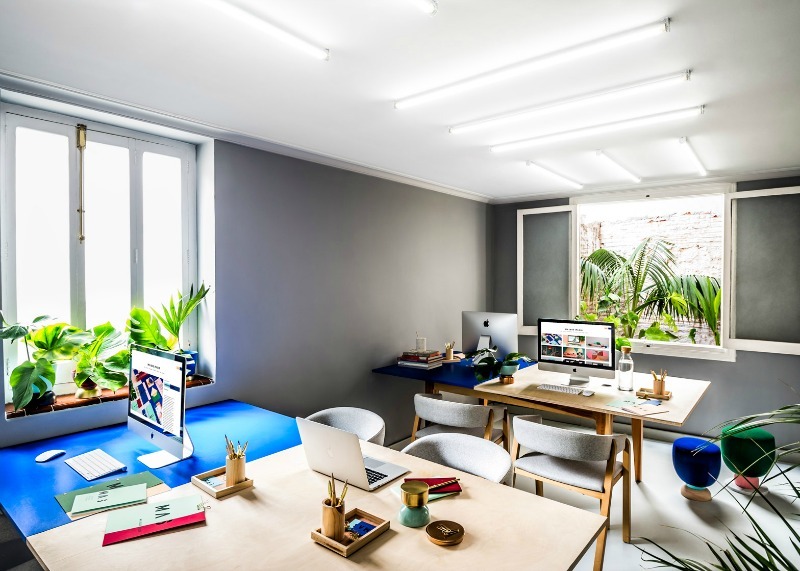 This office studio by Masquespacio has quickly become the highlight of our day. 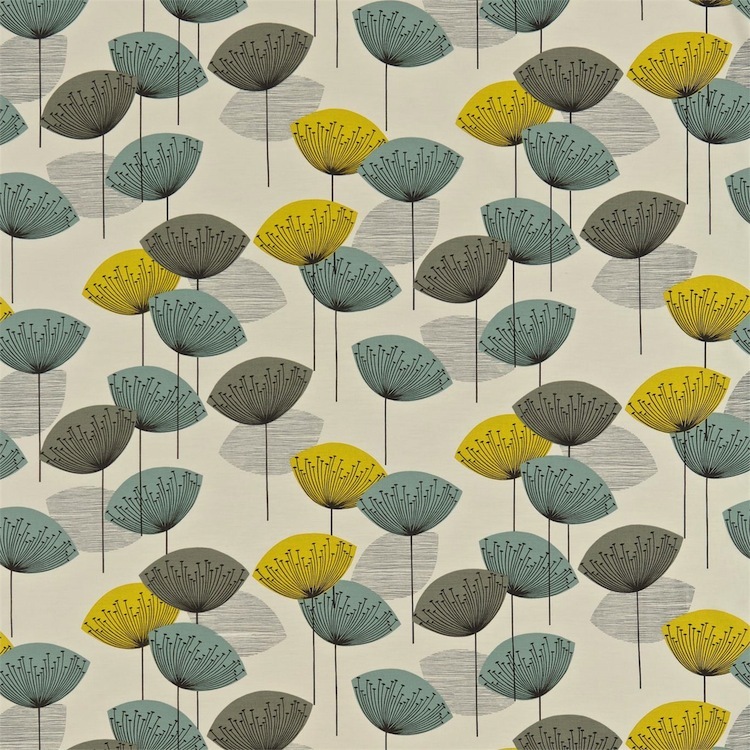 We won’t list all our favourite things about this design but we’ll share those that resonate with us most with you. 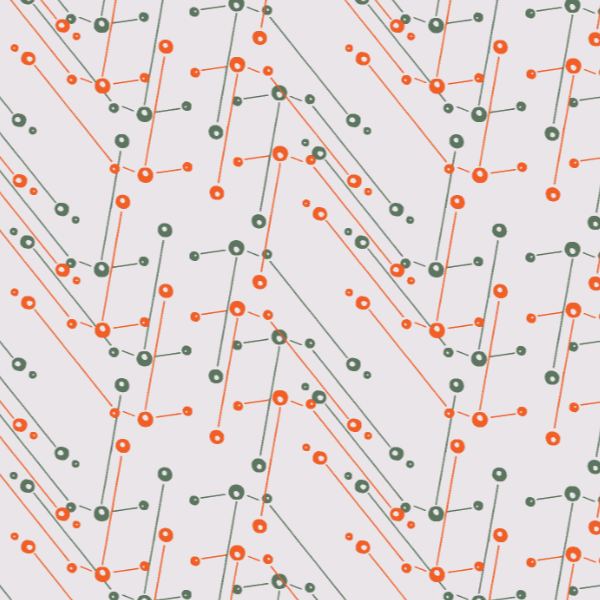 For those of you who love colour, this design will appeal to you. 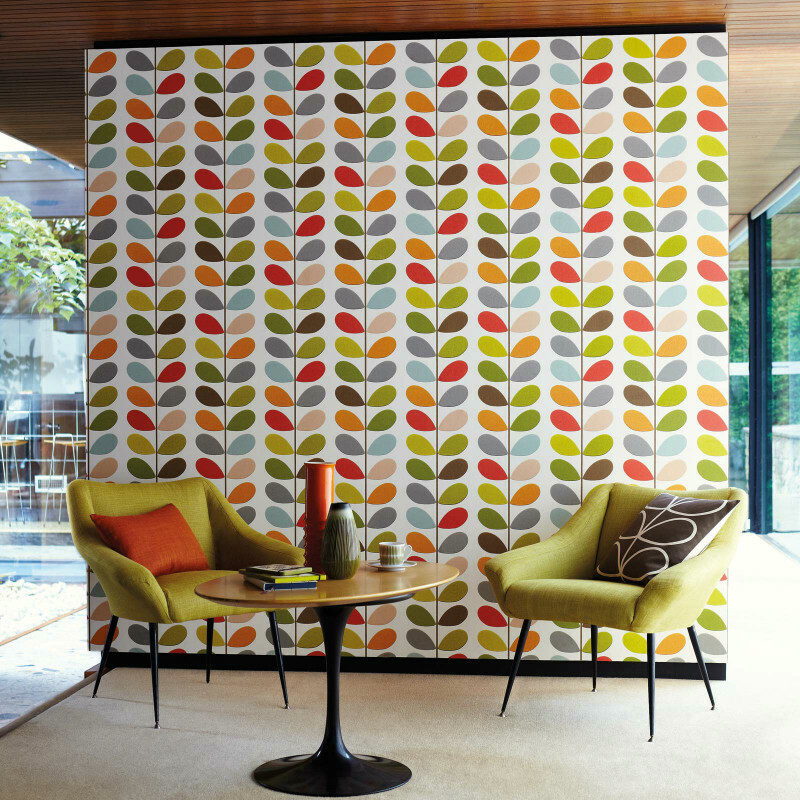 Vivid colours in cheerful hues give the space a playful feel. 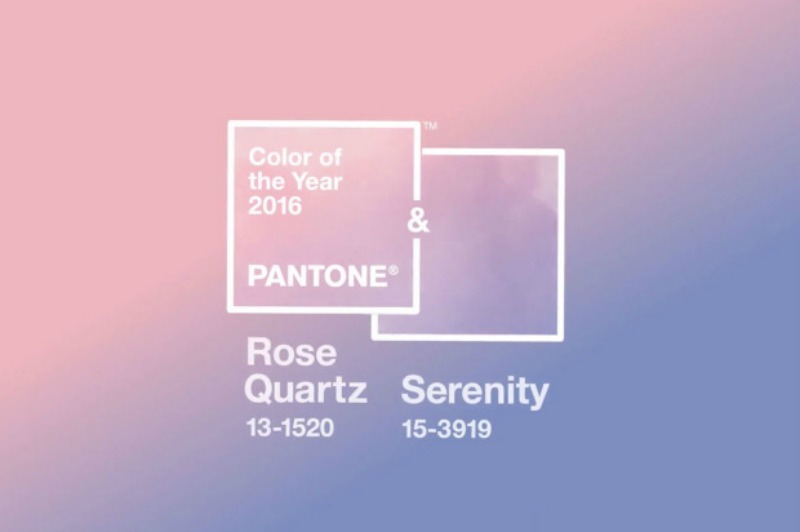 Using these types of colours in working environments must be a good thing for creativity. Even pineapples manage to play a part. How clever is that? This was the first time we’ve come across the Toadstool collection. They are very impressive, don’t you think? 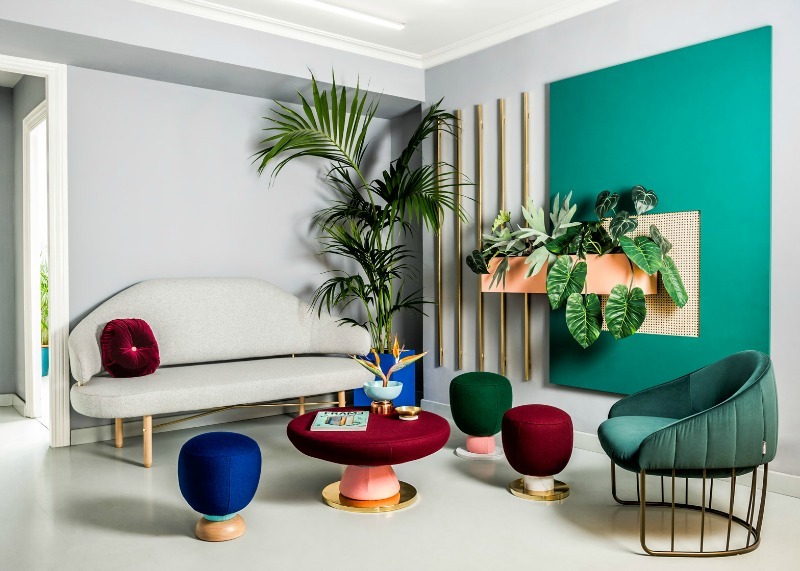 Designed by Masquespacio, their debut furniture collection which launched in January 2016 is characterised by colourful fabrics and rounded shapes. Luxurious with extra glam factor, swooning over them is surely an understatement. Perfectly perched at prime positions, the lush plants add that extra layer of texture and freshness. They’re literally in every corner around the studio. It makes us want to rush to the garden centre to fill our Moody Monday studio up. There is design inspiration everywhere. What has inspired you this week? Let us know. Full story via Dezeen. Photography by Bruno Almela. The Japanese are well known for incorporating rich cultural traditions into contemporary spaces. Simple lines and muted colours typically characterise their interior design. 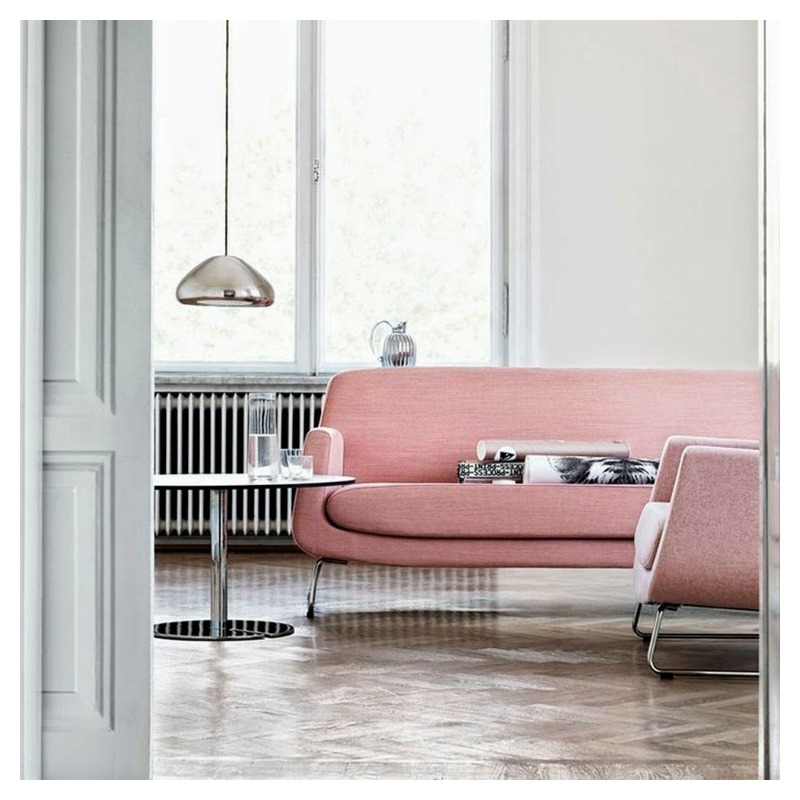 Today on the blog, we share two Japanese interior designs which caught our eye. There are some key design elements in the designs to give particular attention to. Low seating with the addition of large floor cushions creates an authentic Japanese feel in this restaurant. It also incorporates furniture made from natural materials which is popular in Japanese interior design. Wood, bamboo, silk are common for creating harmony and bringing in nature. You can’t go wrong with indoor plants too. 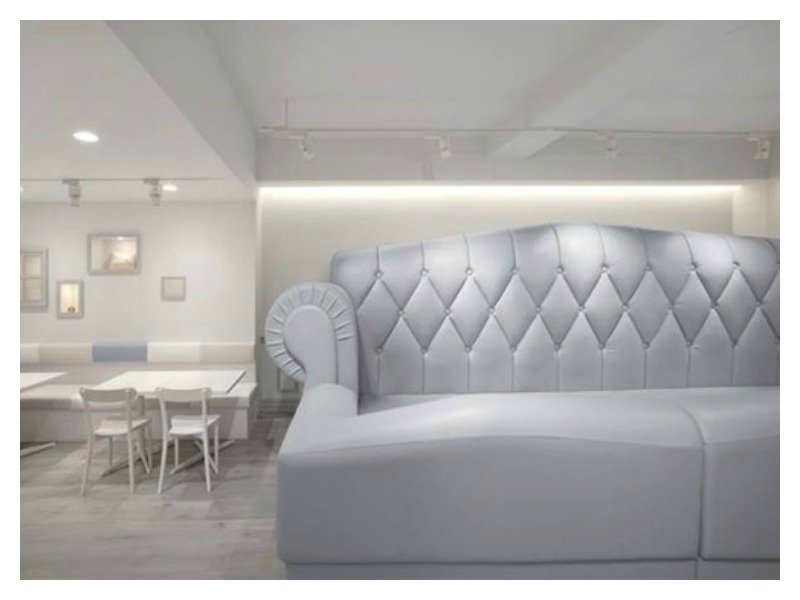 Japanese interior design embraces the use of soft lighting. Light is concealed if possible or dimmed. This restaurant design uses lighting which is dimmed or seeps through. 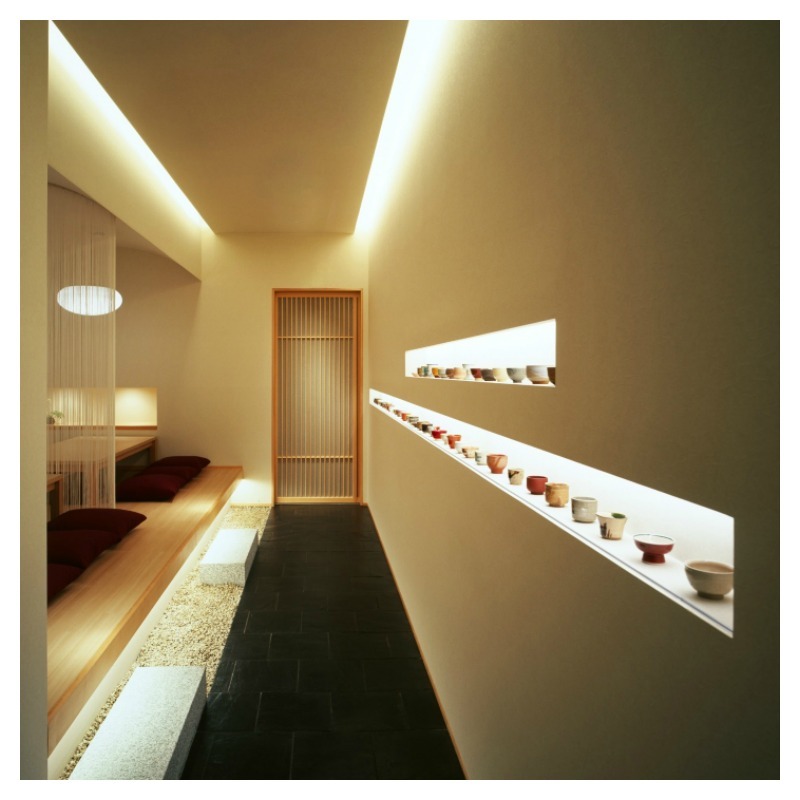 We like the use of ambient lighting and task lighting focused on the display of Japanese-style bowls. 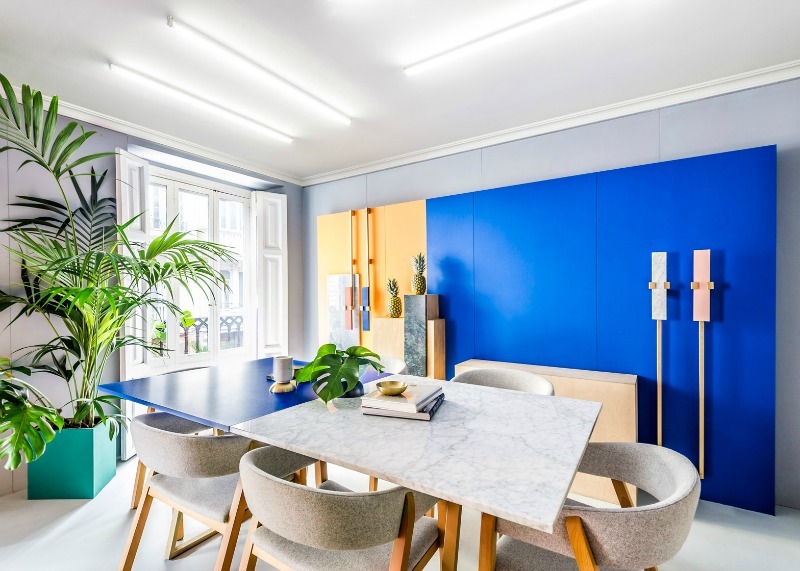 Another element of Japanese interior design is creating a sense of privacy even in an open plan space, Without doubt, most of us are familiar with the screens typically seen in traditional Japanese homes. With the belief that all clutter is tossed aside in place of a simple life, Japanese interiors are usually simple and minimalist in nature. 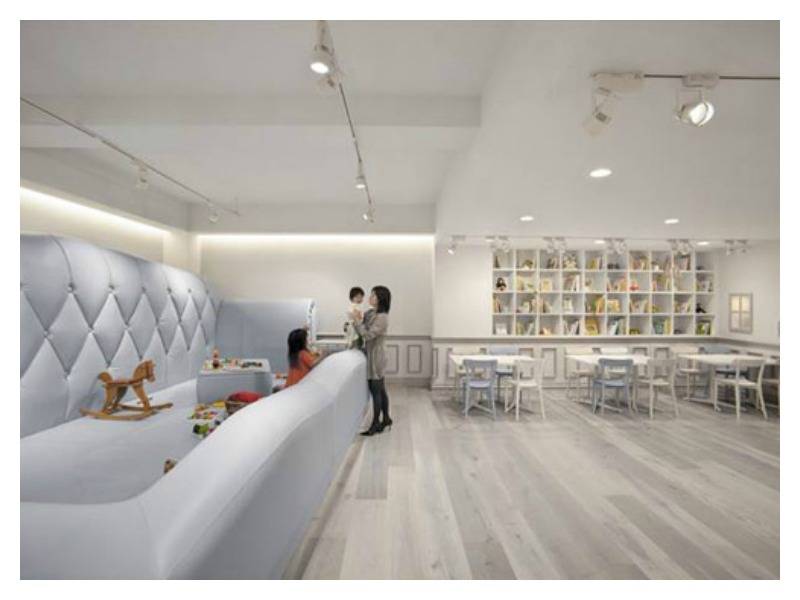 It is refreshing to see how this Tokyo baby café uses this to its advantage. 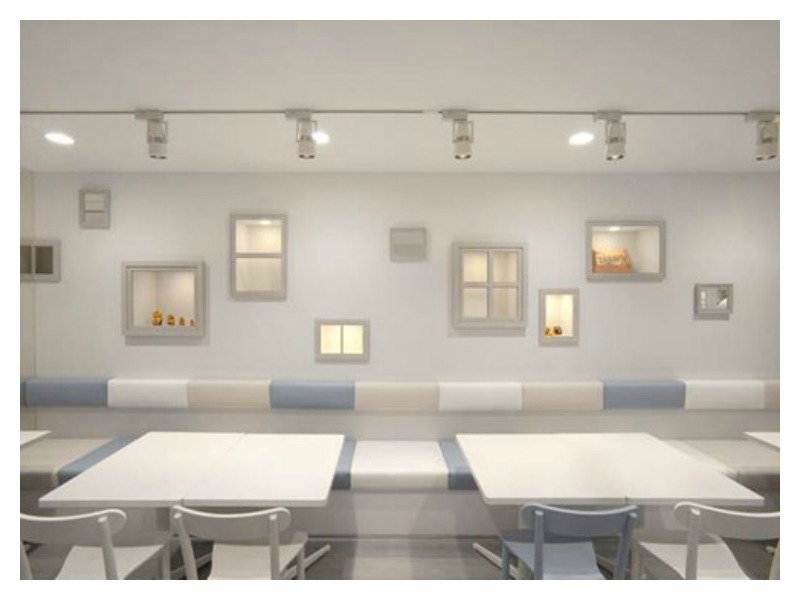 White minimalism is the key feature in the interior of the cafe. The simplicity of the design provides a tranquil environment. Designed by Japanese designer, Nendo, the café’s absolutely huge and absolutely tiny furnishings give both adults and kids two different perspectives. What elements of Japanese interior design could you infuse into your interior space? 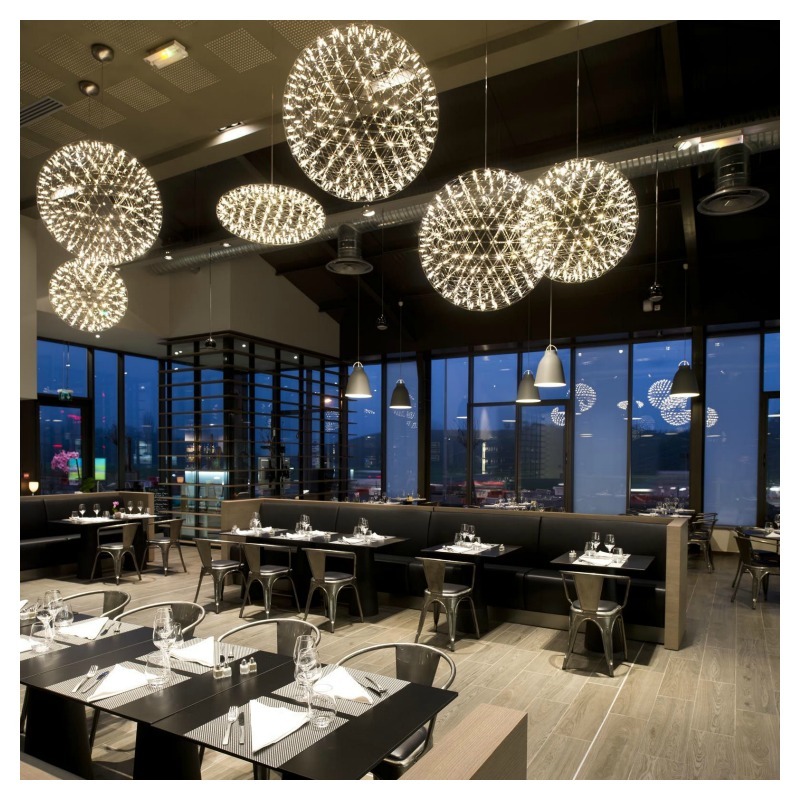 Our design influence for today is the Raimond lamp. Think starry skies and constellations and you have the embodiment of the Raimond lamp. This is our tribute to the award winning designer, Raimond Puts who passed away in 2012. He combined his love for simplicity, mathematical prowess and metalwork expertise to create timeless design. We nod our heads in complete agreement here at Moody Monday. 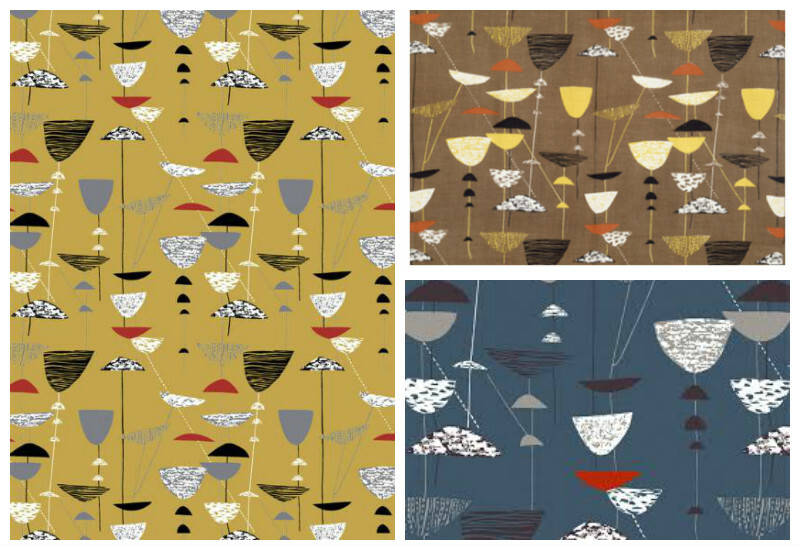 Our new collection, STELLAR is inspired by the boundless beauty of the sky and space. No wonder we have a heightened love for all things celestial. You’ll hear more about the launch of the new collection over the next few weeks. It is not difficult to understand why designers pay attention to beautiful lighting. The variety available in the industry is astounding. 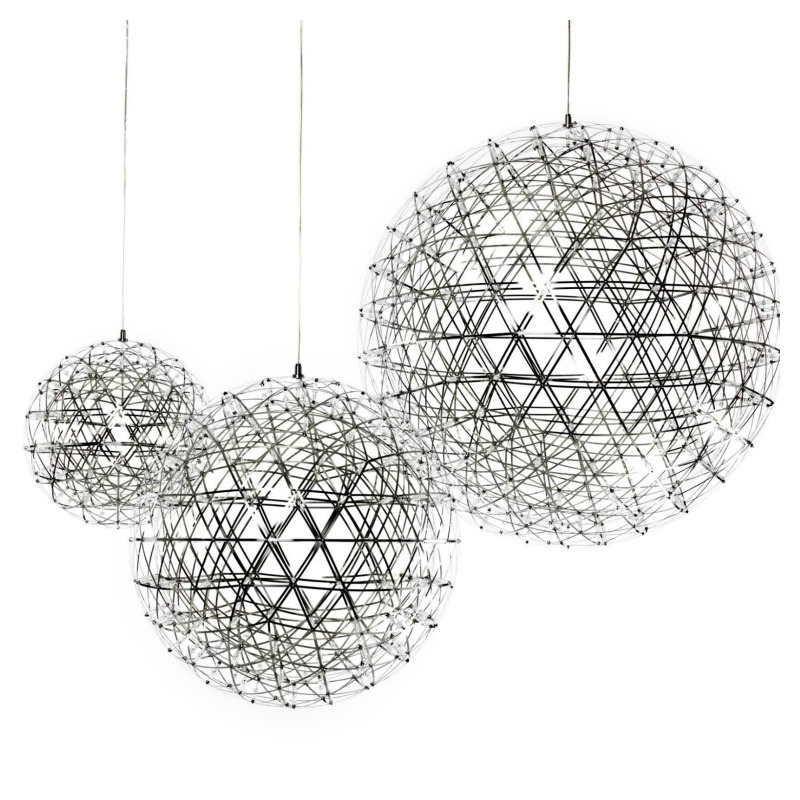 Be it over-sized pendant lamps or geometric shaped lamps, the options are limitless. Share your design influence this week with us. 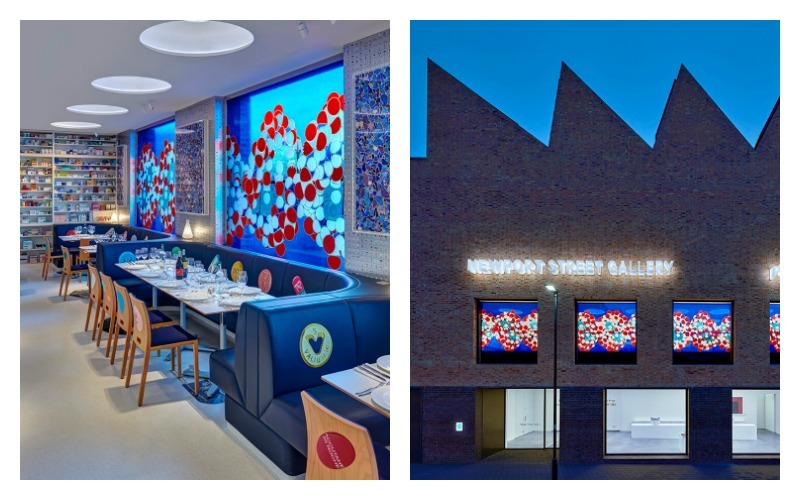 Damien Hirst with some help from English chef Mark Hix has recently opened an art-themed restaurant in his new Newport Street Gallery in Vauxhall, London. 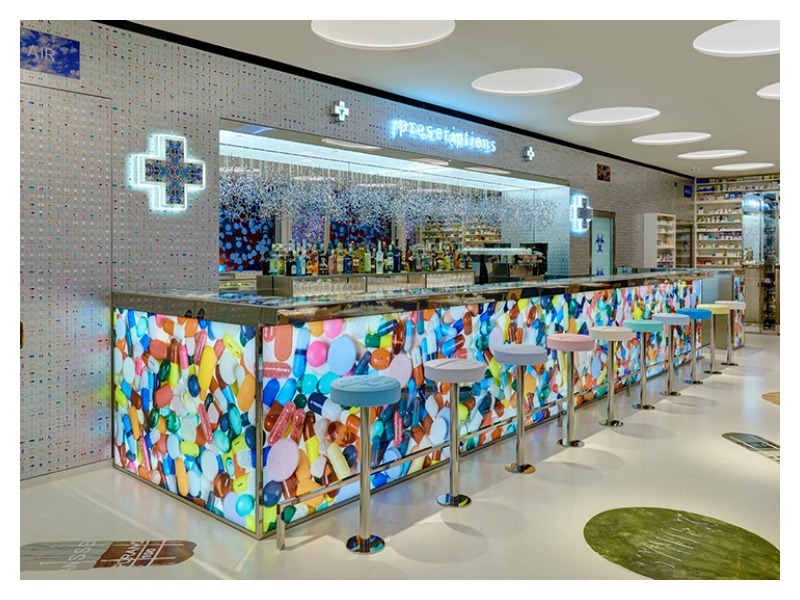 “Pharmacy 2 combines two of my greatest passions: art and food,” says Hirst of the new project. As he did with the previous restaurant, he has fully expressed his love for pharmaceuticals in the design of the restaurant space. The design oozes his reputable creativity and attention to detail. 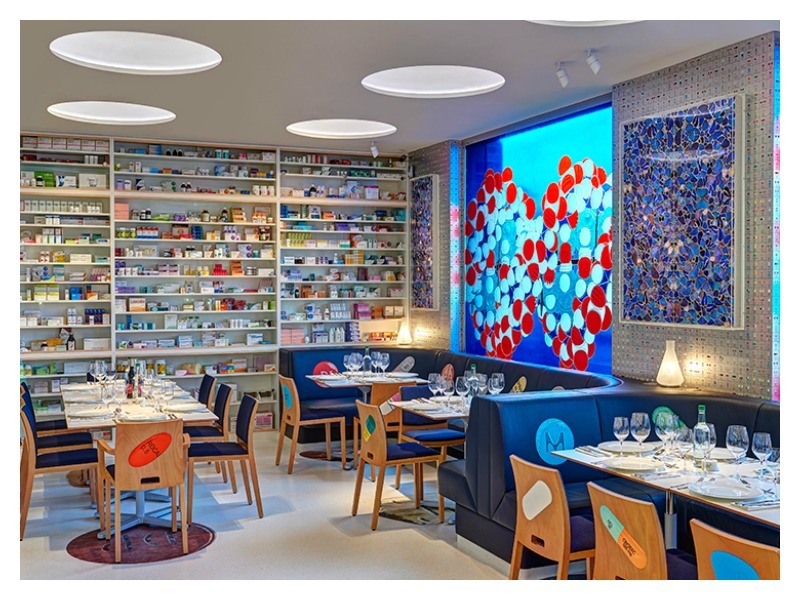 The multi-millionaire artist, Hirst’s art work decorates the interior walls of the restaurant. The rear wall also houses a large medicine cabinet with real items. Large glass stained windows draw the eye in with a colour explosion of red and blue. We like how skilfully the pill motifs are used throughout. The bar area, the floors, the chairs enjoy a bit of medicinal therapy. A great example of thoughtful design which is not clinical but uniquely tasteful. His aim to revive the original Notting Hill restaurant, Pharmacy is incredibly commendable.